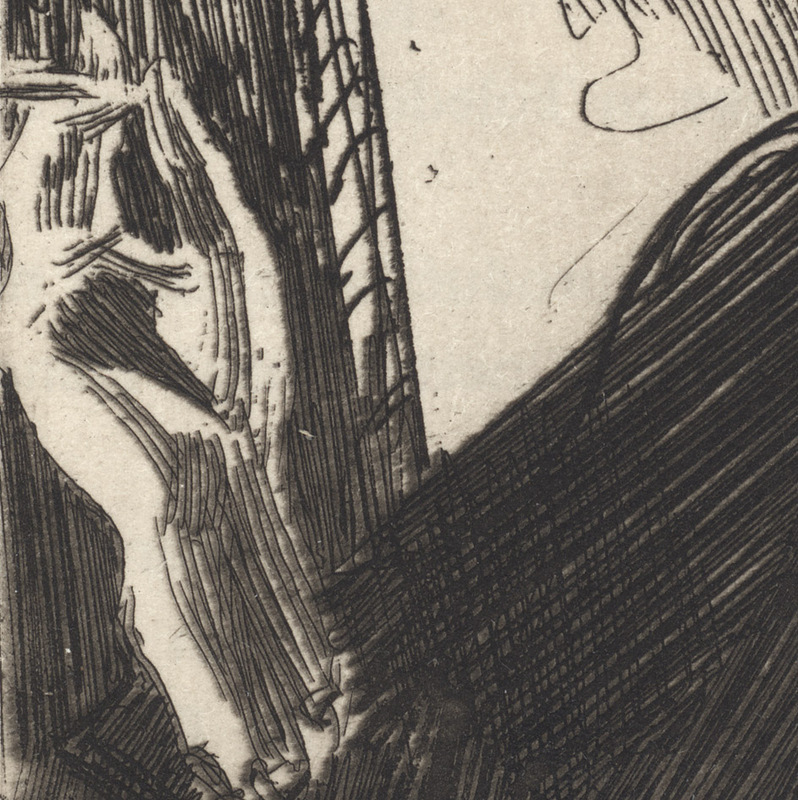 Etching with drypoint and plate tone, printed in bistre coloured ink on wove paper, trimmed with thread margins and laid upon a support sheet of heavy wove white paper with generous margins. Condition: well-printed impression, trimmed to the platemark and laid on heavy wove white paper with large margins. 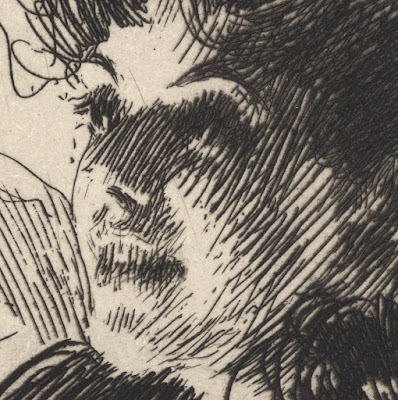 There is a small restored tear on the lower edge and a nick in the upper left margin (both defects are difficult to see). 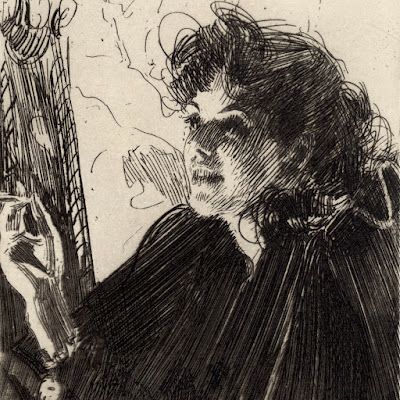 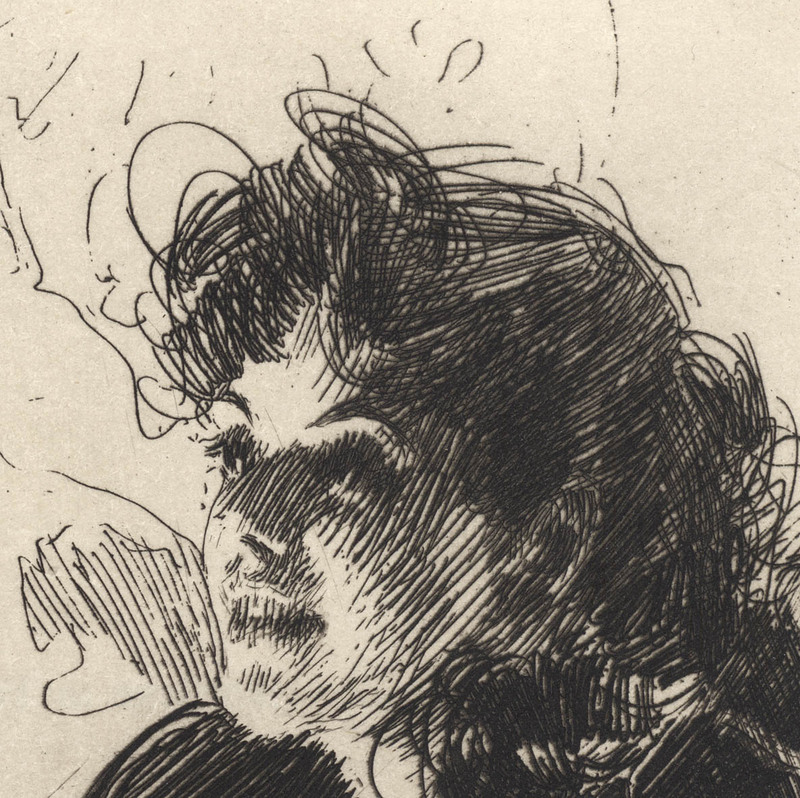 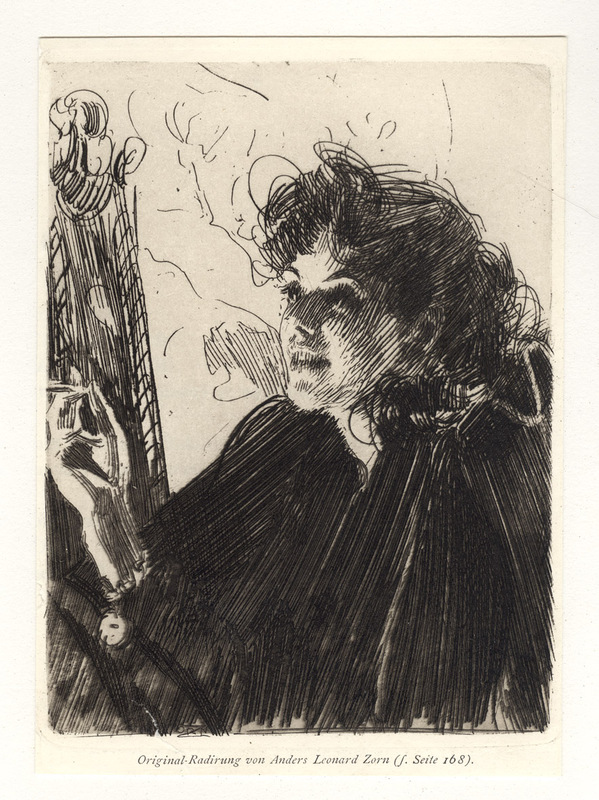 I am selling this iconic etching by Zorn for a total cost of AU$275 (currently US$208.20/EUR193.76/GBP167.50 at the time of this listing) including postage and handling to anywhere in the world. 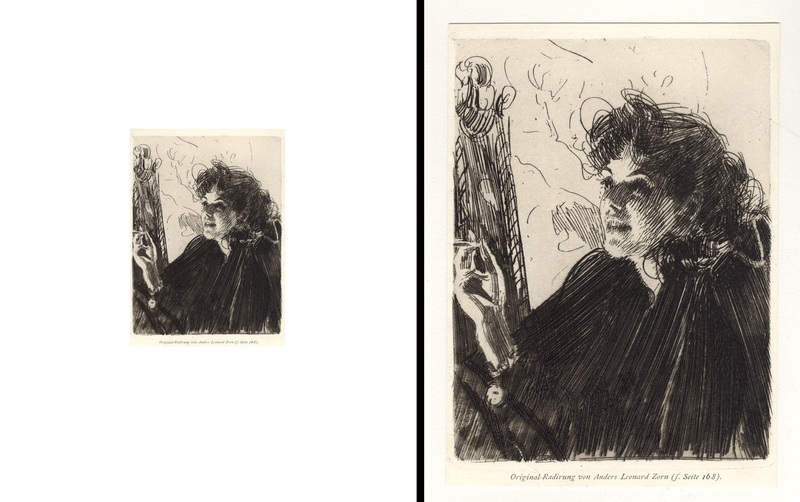 If you are interested in purchasing very important print epitomising the Belle Époque in Paris, please contact me (oz_jim@printsandprinciples.com) and I will send you a PayPal invoice to make the payment easy.